Although it’s not an official holiday, everyone knows Black Friday is the start of the Christmas shopping season. It is special for a number of reasons, but probably the best thing about Black Friday is that virtually every retailer, big or small, offers sales and discounts. It’s a fantastic opportunity to get the perfect gift for your loved one or to purchase that item you’ve been saving up for. The name originated in Philadelphia where it was used to describe the heavy traffic that would occur the day after Thanksgiving. To help you find the perfect gift for a loved one or for yourself, we’ve compiled a number of our favorite Black Friday specials. 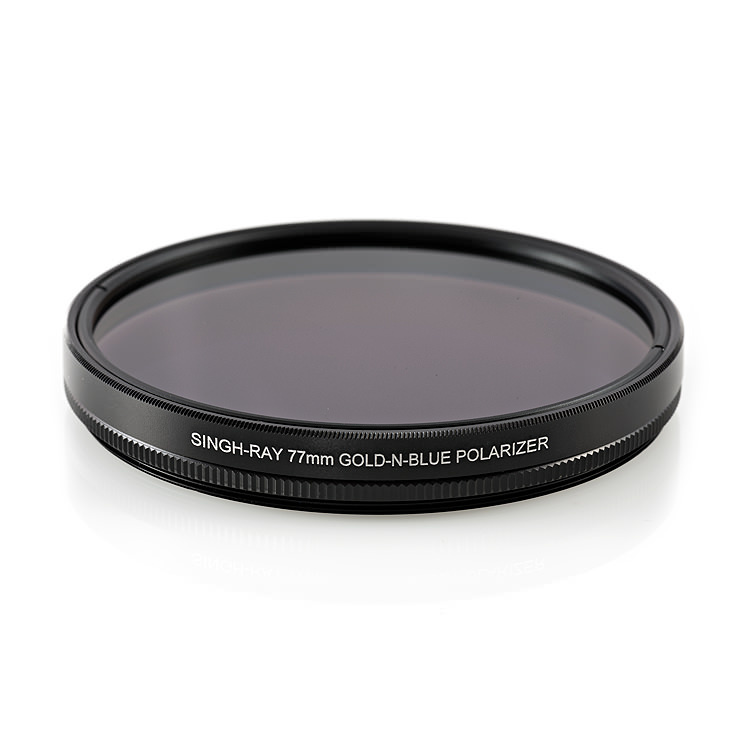 A circular polarizer filter is an essential item that every photographer should have in his or her bag. 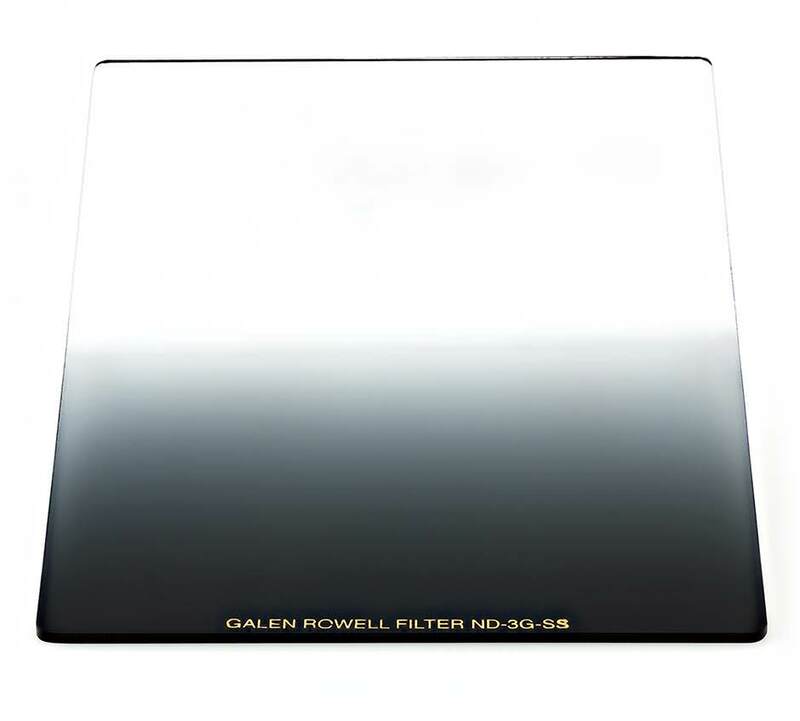 Probably the most important thing to take into account before buying any kind of filter, polarizers included, is that the quality of the filter you put in front of your lens has to match or exceed the optical resolution of the lens and camera body. Use anything below this standard of quality and you will lose sharpness and color accuracy, and unless that is something you actually want, you have to use the right filters. By far our favorite filters are made by Singh-Ray. 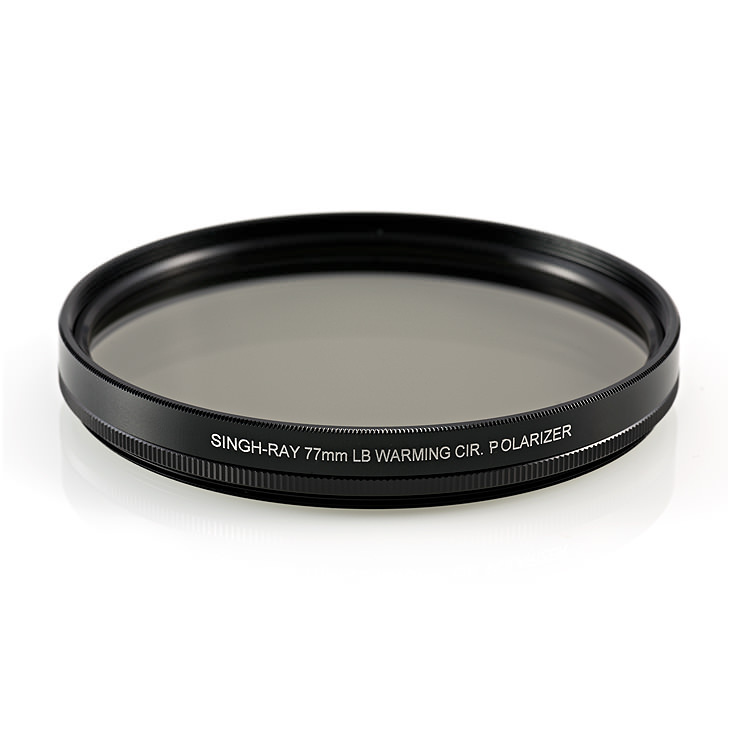 After trying out several products from numerous brands, we’ve come to the conclusion that no other brand of filters will complement the quality of your camera and lens like Singh-Ray. 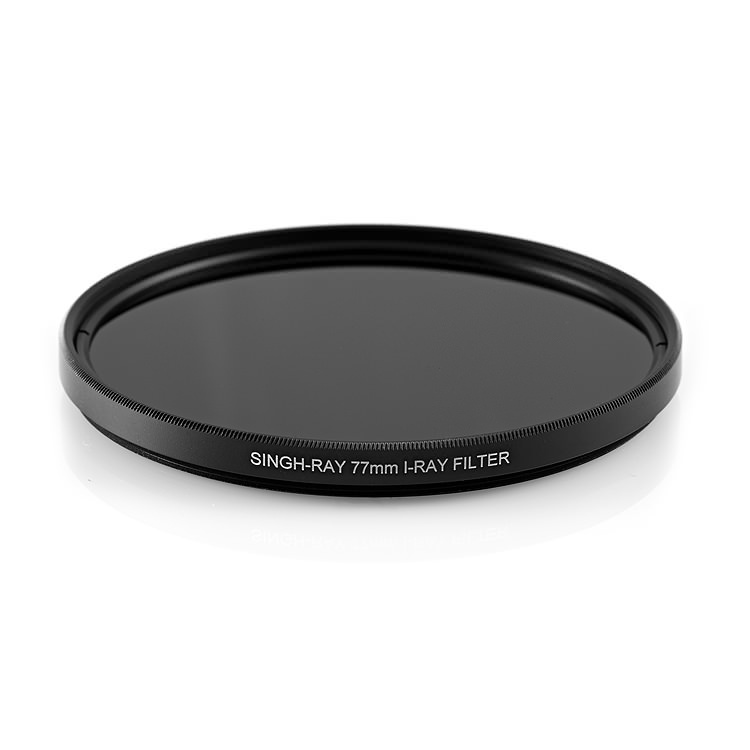 All Singh-Ray “LB” filters are 2/3 of a stop faster than comparable competitive filters, giving you greater creative flexibility without any sacrifice in performance or impact. No amount of post processing and no matter how well it’s done will replicate the effect of a circular polarizer. That’s why this filter is a must-have. Besides darkening skies while maintaining a natural look, the circular polarizer will help you eliminate reflections, thus enabling you to shoot through windshields and water surfaces. This filter will help you control glare and restore detail as well as color and saturation. Landscape photographers love this filter for both color and black and white work. It combines the dramatic effect of a warming polarizer with that of a subtle color intensifier. Besides enabling you to control glare and reflection, this filter also boosts your shadow detail and local contrast. Photographer Kevin McNeal swears by the Singh-Ray ColorCombo polarizer - “Simply the finest polarizer I’ve ever used”. 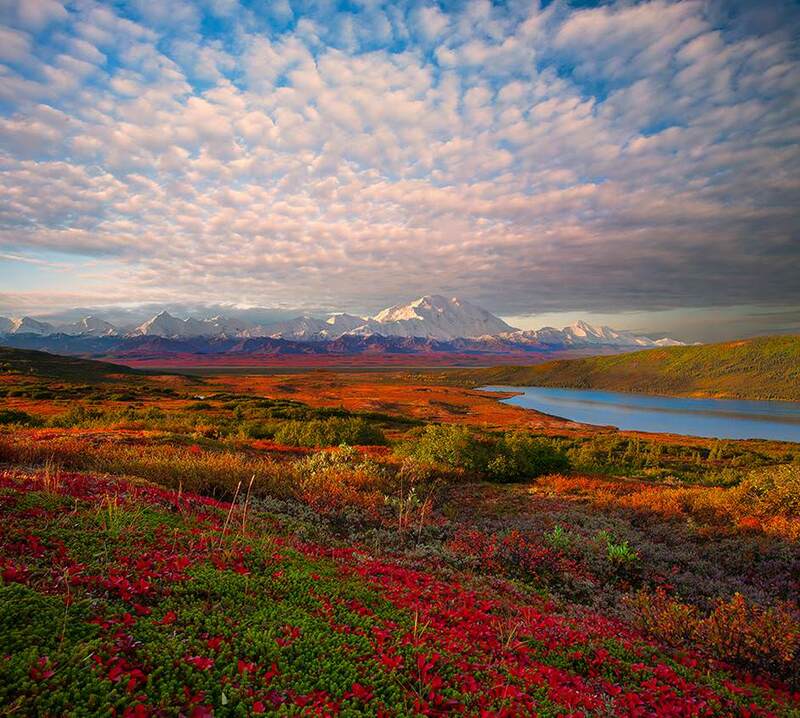 Kevin used the ColorCombo to take this great photo of wildflowers and Denali in Alaska (photo ©Kevin McNeal). 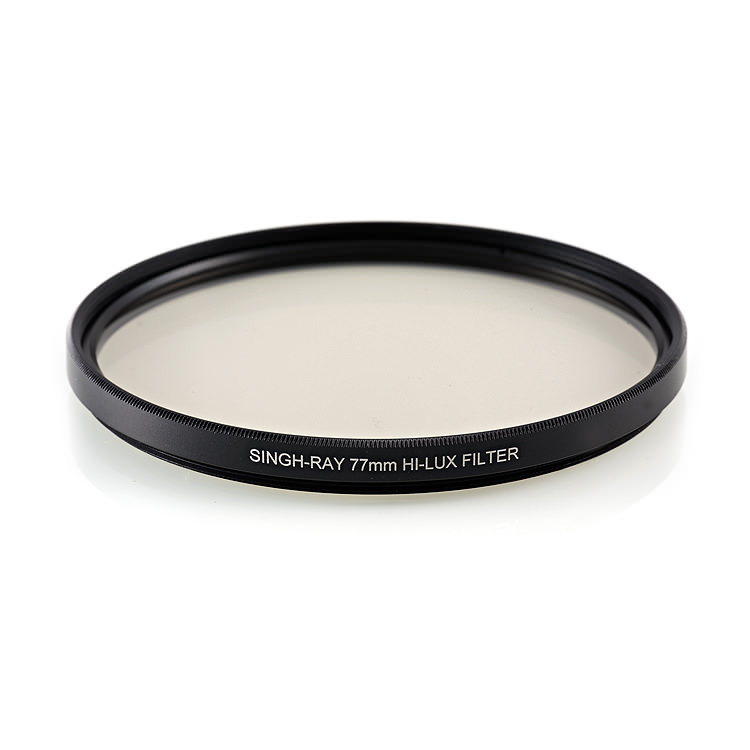 Save 10% on the highest quality filters from Singh-Ray as well as accessories and filter cases through December 6th at www.singh-ray.com. 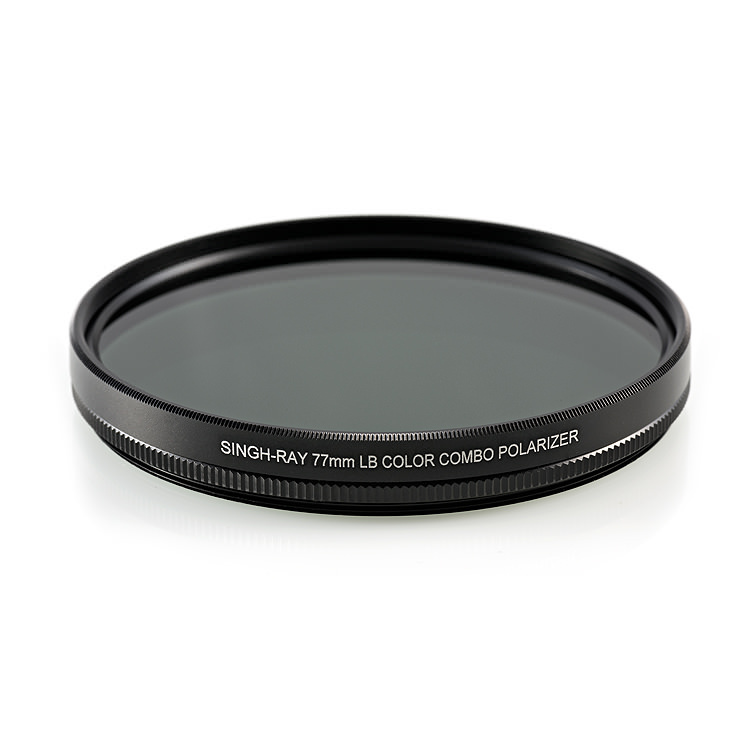 If you want to create dramatic images with blurred motion and silky waters even in bright sunlight, these Singh-Ray solid neutral density filters are the industry standard. “Singh-Ray Mor-Slo filters are the sharpest and most color-accurate solid NDs you can buy," says photographer and workshop leader Tony Sweet. 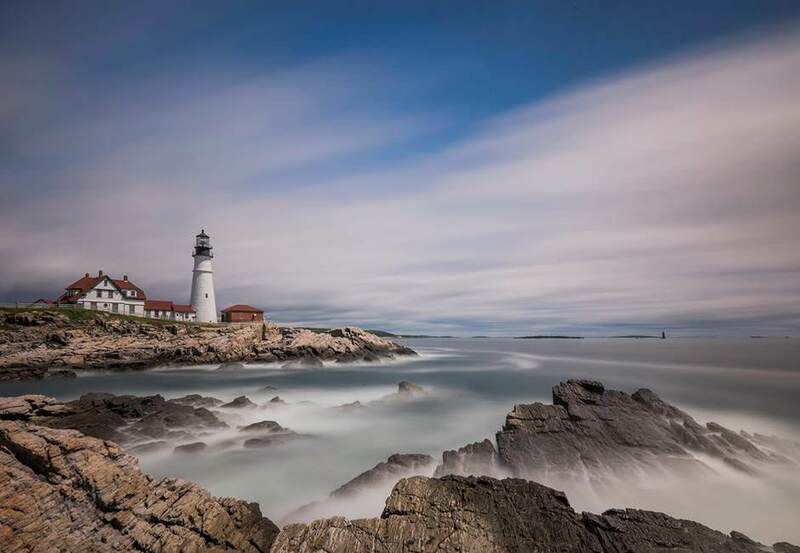 Tony shot this awesome landscape of the Portland Head Light in Maine with the 15-stop Mor-Slo filter, in an eight-minute exposure (photo ©Tony Sweet). 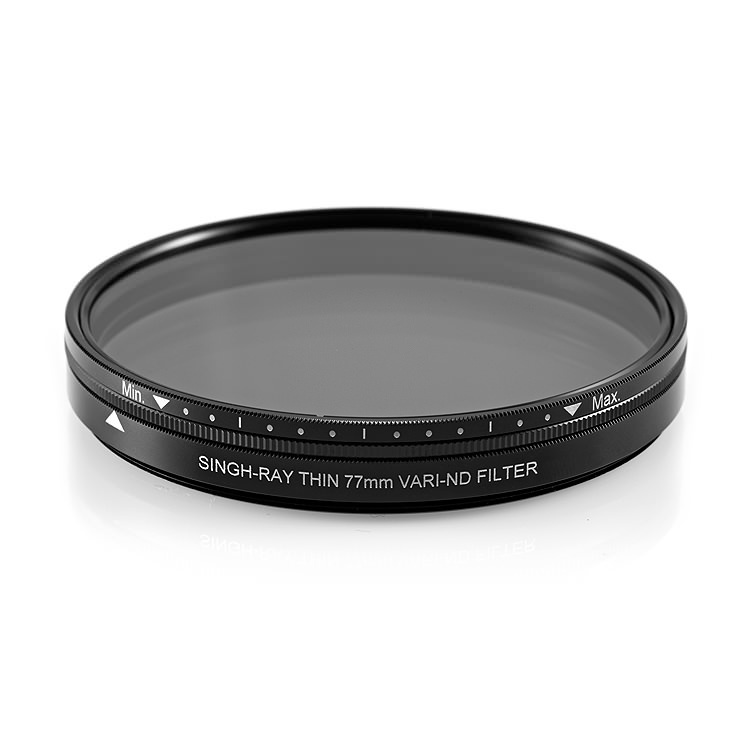 These variable neutral density filters from Singh-Ray are the best on the market with 8 stops to choose from. 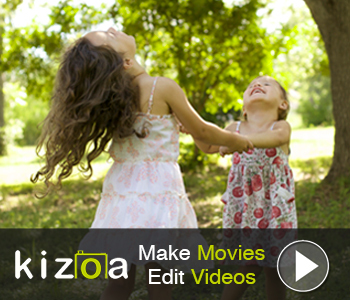 They are ideal for motion effects as well as controlling aperture for video and stills. Created by Singh-Ray together with landscape photography legend Galen Rowell, these filters allow you to create natural looking high dynamic range photos with just one exposure. The Daryl Benson reverse graduated filter is another must-have for natural photos in challenging light such as sunrise and sunset. Add dramatic color to your outdoor scenes – and amazing contrast to your black & white images – even in light that’s less than ideal. Not having the right protection for your lens is a rookie mistake that could cost you a lot of money. There are plenty of protective UV filters to choose from, but by far our favorite is the Hi-Lux. Unlike other options on the market, it’s made from the same quality glass used by NASA. That means absolutely no sharpness or image quality will be lost. Infrared photography is awesome, yet many photographers stay away from it because up until recently it required a dedicated or hacked camera. The revolutionary I-Ray filter from Singh-Ray lets you enter the exciting world of IR photography without that large cost. It is engineered to eliminate visible and ultraviolet light allowing only pure infrared to reach your camera’s sensor. Depending on your location, the I-Ray will help you create surreal, dreamlike images that will leave you very pleasantly surprised. Spider Holster products have become insanely popular around the world thanks to the revolutionary way they allow photographers to carry and use their cameras. The Spider Pro for example, with its revolutionary ball-joint system gives the camera just enough freedom while transferring the weight from your neck or arms to your hips. 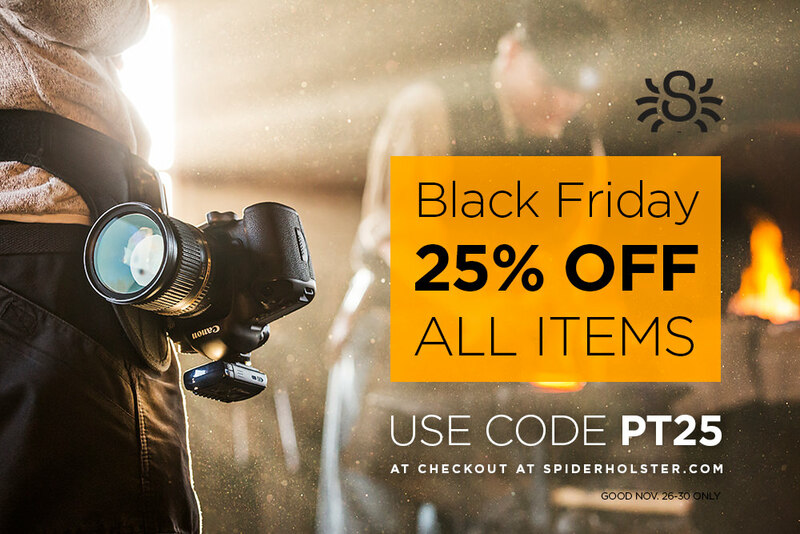 This Black Friday, Spyder Holster is offering 25% off on almost all its products. Visit www.spiderholster.com for details. Monitor calibration is essential for everyone who takes photography seriously as well as for those want to preserve their memories in true-to-life colors. You can’t properly edit an image if the colors on your screen don’t match the color on paper. The Spyder Color Calibration Solutions will help you take care of any uncelebrated monitor in no time. 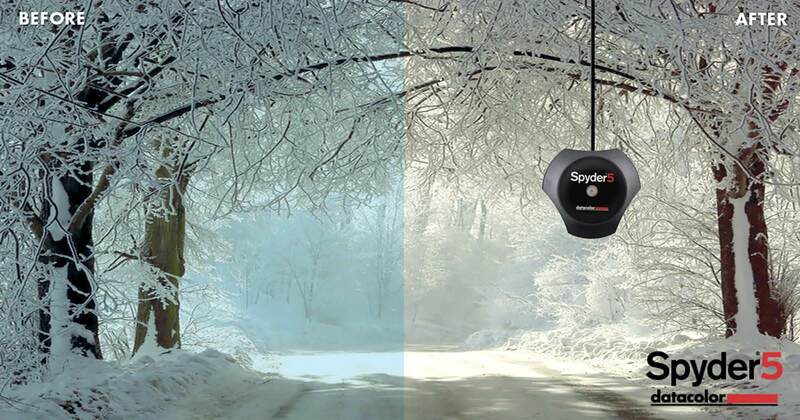 This Black Friday save up to $100 on Spyder Color Calibration Solutions! MyStudo Tabletop Photo Studio kits are ideal for any photographer who shoots products and stock for a living, but also for eBayers and other online sellers. 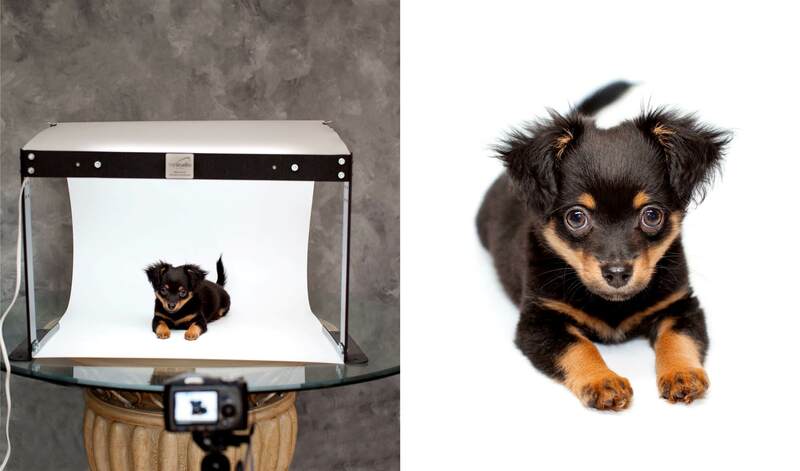 Each kit comes with everything you need to take a professional product photo effortlessly. From daylight balanced light sources to seamless backgrounds, everything you need is available in these kits. MyStudio offers two site-wide coupons with 15% off anything in the store until Dec. 1 2015 and 10 off everything until Dec. 15 2015. Besides being one of our favorite retailers, Amazon is well known for its awesome Black Friday sales. This year they’re starting early with some great deals on a lot of cools stuff. 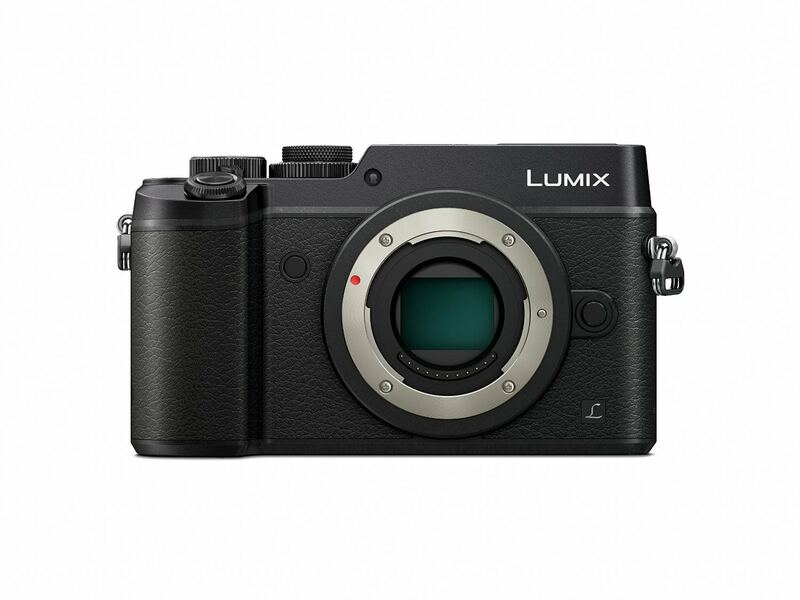 Their new prices for Panasonic mirrorless cameras might be of particular interest for some of you. The awesome GX8 is off 25% saving you no less than $300. Keep a close eye on Amazon this Black Friday. 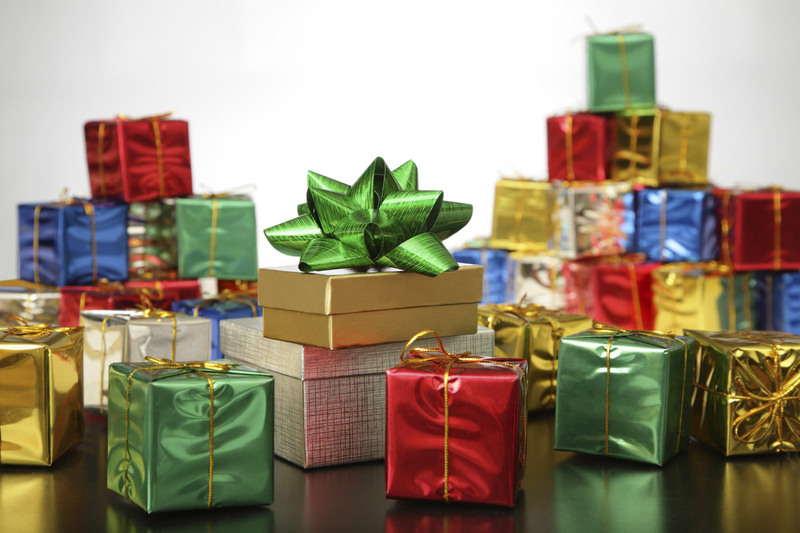 You’ll definitely find a great gift for you or a loved one.